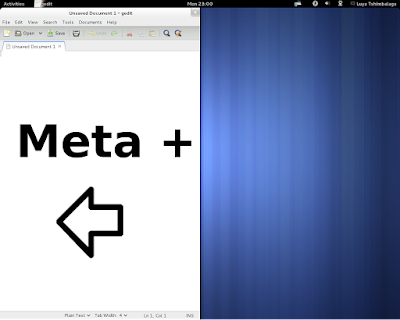 Wile still holding the Meta-key, press up to maximize the window of application. Enfoncer la touche Meta et appuyer soit la touche flèche gauche ou droite ce qui placera la fenêtre selon la direction choisi de la moiti&eacut; de l'&eacut;cran. Toujours en tenant la touche enfoncé, appuyer la flèche haute pour maximiser la fenêtre. Please let us know if you come across other tips like that. I was wondering if on Gnome Shell I could come to a point where I can rely entirely on the keyboard. Doesn't seem to work for me. What version of gnome? 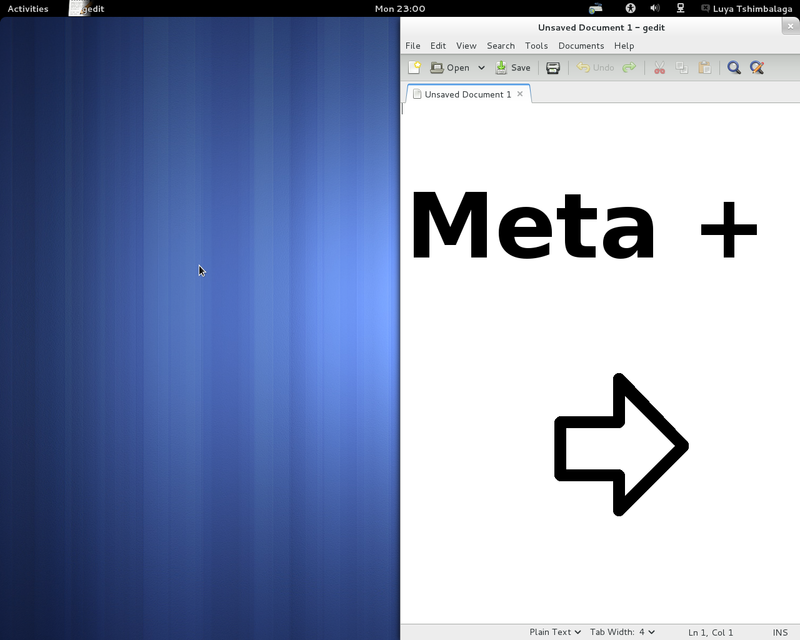 The test was done on Gnome 3.4 but it should work on Gnome 3.0 as well. If not, go to User->System Settings->Keyboard->Shortcut. 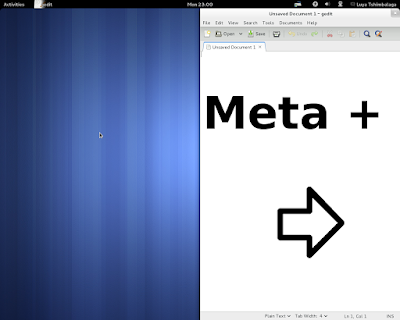 Select Windows and assign Meta key (left side) + Arrow Left (or Right) to "View split on Left (or Right)". "Toogle Maximum" should be assigned to Meta+Up. L'option est seulement pour Gnome 3.4. 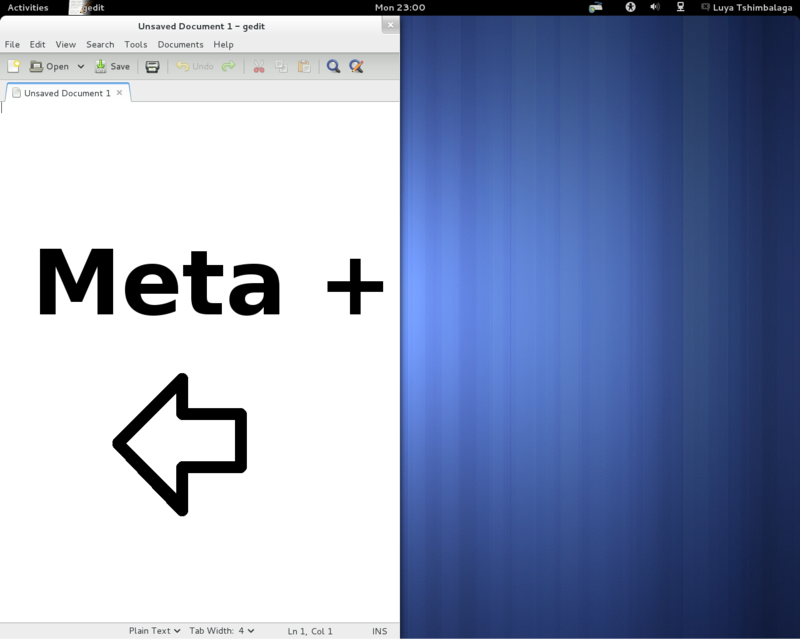 Il est possible de l'activer sur Gnome 3.2.1 sous le categorie "Personaliser" ou "Custom Shortcut". J'ignore le raccourci pour la touche meta (consulte la propriété du clavier). In English, that option is only valid for Gnome 3.4. 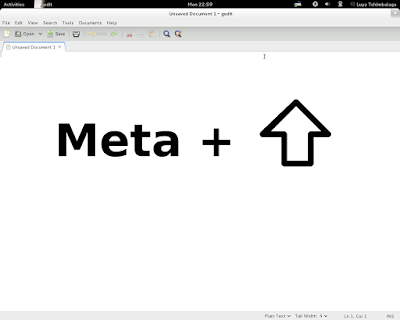 It is possible to enable that shortcut via "Custom Shortcut" by knowing the meta key input.